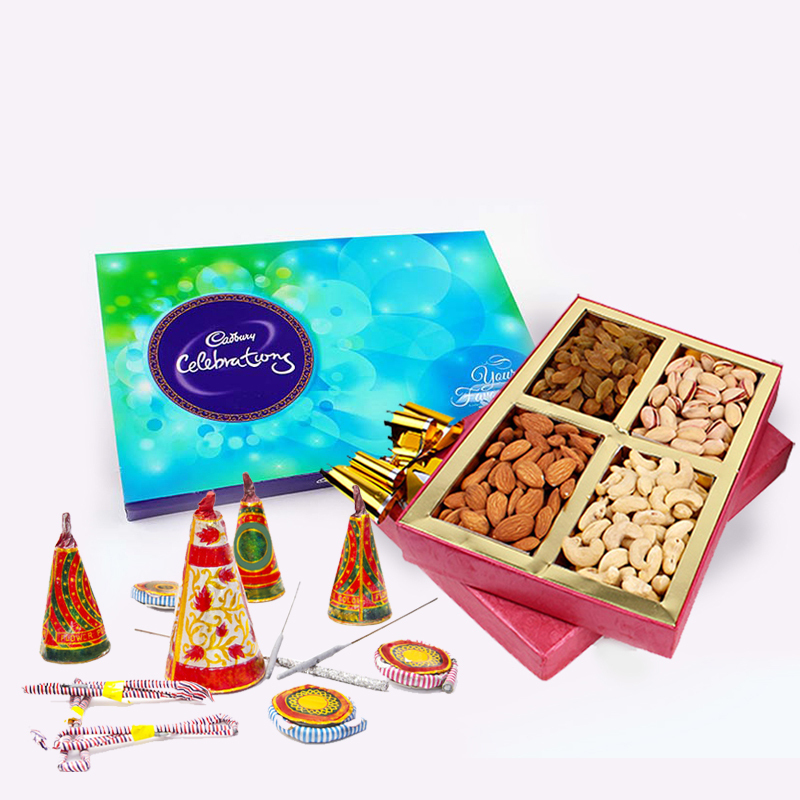 Product Consist : Box of Assorted Dryfruits (Weight : 500 Gms) and Cadbury Celebration Chocolate Pack (Weight : 140 Gms) along with Assorted Fire crackers (Worth Rs.300/-) (Note: Types of Fire Cracker are depends upon their availability no specific choice). 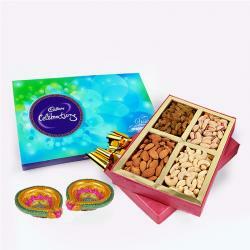 This amazing hamper with its lovely inclusions make an exclusive Diwali hamper for your loved ones. Your treat starts with a Cadbury Celebration Chocolate pack that is all set to daze your taste buds. It is paired with a Cadbury Celebration Chocolate Pack. 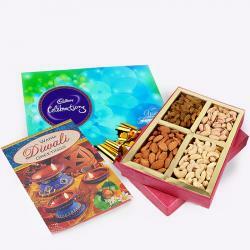 Along with it, we send assorted Fire crackers for your loved ones in this hamper that is a must for Diwali. 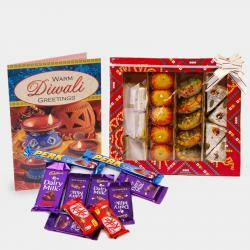 So, order this hamper online today and greet your loved ones warm with this Diwali exclusive hamper. Product Includes : Box of Assorted Dryfruits (Weight : 500 Gms) and Cadbury Celebration Chocolate Pack (Weight : 140 Gms) along with Assorted Fire crackers (Worth Rs.300/-) (Note: Types of Fire Cracker are depends upon their availability no specific choice).